Nowadays, Android is touching the heights of success and it is one of the best smartphone operating system. This is because the Android offers tons of apps and games to play than any other mobile operating system. There are some of the best Android apps and games, which are only available on Android but is not available on Windows, Mac and Linux. So, the users of these operating systems don’t get disappointed because I know something that may work for you. You can run Android apps on PC by using Android emulators. There are many Android emulators out there but BlueStacks is one of the best. BlueStacks is one of the best Android emulator, which offers simple and easy to use user-interface, which can be understood by newbies. It is light in weight and also runs Android apps and games seamlessly but the requirements of the program are a bit high. To run BlueStacks on your PC, you must have 2 GB RAM, 9 GB Hard Disk for storing apps and games, and a good graphics card. So, today we are going to tell you that how to run Android apps on PC using BlueStacks Android emulator. So, let’s get started. First of all, you have to download and install BlueStacks. Click on link to download BlueStacks for your operating system. After it is downloaded then install it. During the installation, you will see some steps, which you have to follow to continue the installation. After your BlueStacks is installed, open it. When you open BlueStacks then you have to enter your Google account information. These Google account information will be used to sync with Google Play Store. Once, you are done, open BlueStacks application by clicking on it. Now, in BlueStacks you will see asearch box, in which you can type the name of any app or game you want. After finding your desired app or game then click on it to install it. 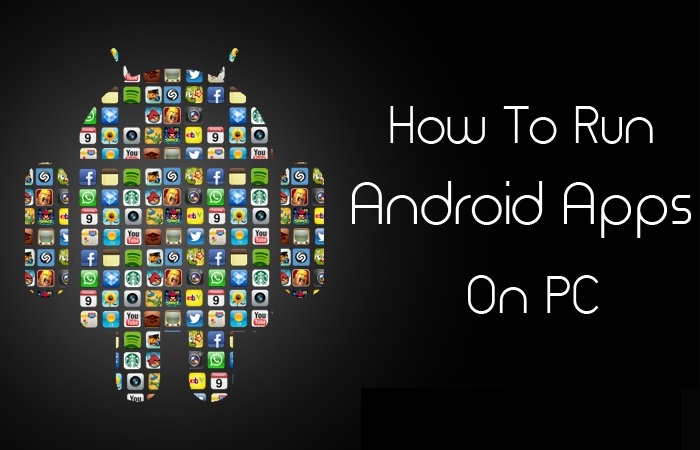 So, I hope now, you ‘d definitely understood that how to run Android apps on PC. If you like this post then do share this with your friends and social circles. If you have a suggestion or question about this post then don’t forget to sing your song in the comments box.